International researchers met in Manchester to learn about current projects under the theme, “New solutions to old problems: Ensuring sustainability of falls prevention interventions”. 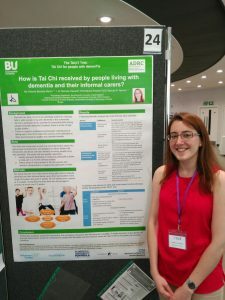 Yolanda Barrado-Martín presented a poster entitled: “How is Tai Chi received by people living with dementia and their informal carers?” Attendants showed interest in the poster over the two day conference and voted Yolanda´s as the second best poster of the conference. 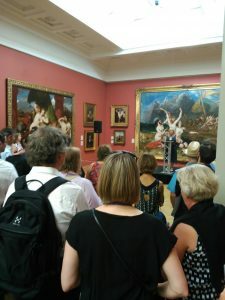 This year’s conference included sessions around Cochrane Updates on falls preventions, the use of new technologies to prevent falls, epidemiology and the implementation of research into practice. This year there was also a space for specific conditions such as dementia and the use of Qigong to improve balance and prevent falls amongst older adults, which made this conference particularly relevant for the TACIT Team.